e.g. Bedford and nearby villages, Milton Keynes, Olney, Sandy, Flitwick etc. 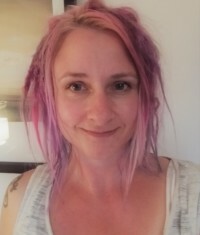 Hi, I am Pippa, a doula, yoga teacher, therapist and mum in the Bedford area. As an Active Birth Teacher and Doula, I have a love for all things positive and holistic in pregnancy, birth and early parenthood, especially when it comes to nurturing mums, as I have been through this journey myself, 3 times. I have found that the support, friendship and a little knowledge and nurturing from other women has helped me through these pregnancies, births, and the days/weeks/months/years that follow! I offer birth workshops, yoga classes and massage/Reiki treatments for mums and mums-to-be, and now I am delighted to be able to offer Closing The Bones; primarily for postnatal women, but please note that once postnatal, always postnatal, so it’s never too late! It can be wonderfully restorative during or after other significant events in our lives, e.g. when starting menstruation, going through menopause, having suffered an illness or loss etc, or just when we feel we need to experience some extra self-care. Please get in touch if you would like to book, or if you have any questions.